You’ve got a great idea, you’re starting up, and now it’s either sink or swim. If your business doesn’t cut if online, it surely won’t last offline. If you’re a newcomer to the world of online marketing, we’ve got you covered. Chances are, you’re on a shoestring budget and on the hunt for strategies that turbocharge results with minimal resources. Don’t worry, we’ve got you covered. In this post, you will learn about effective digital marketing strategies for startups, the power of online advertising, and how not to be Water Under The Bridge. Learn about your market before you become the provider. Here are time-tested aspects of effective digital marketing strategy for start-ups that every CEO/founder needs to consider which are crucial towards business growth and long-term success. Your leads are your potential customers. Lead generation and conversions are your vehicles to successful business growth. Converting leads to returning clients should be at the forefront of your online marketing strategies. Do follow-up emails and reminders, build FAQ pages, and give incentives, and ask your customers questions to grab attention and retain them long-term. Learn about your niche, be on top of your game, and find out key competitors. Who is doing well, what’s trending and what’s not? Ask these questions and follow up your content marketing strategy with action plans that problem-solve them. Who is your ideal customer? Is it teenagers or seniors or a mix of both? Maybe between certain ages? Find out your ideal target audience and cater your product/services by providing them solutions which solve their problems. Want to build an awesome strategy to kick-start your business? SEO is highly important since it builds brand credibility and a good user following. The higher your page ranks on Google’s Search Engine, the more effective lead generation becomes. Your business will gain a wider reach and customer base through a solid SEO strategy. Find out about trending topics, hot content, and research keyword density using tools like BuzzSumo and EpicBeat. Think about long-tail keywords, short-tail keywords, and implement them organically in your brand content. SEO is the future, don’t miss out on it. You can’t drive a car without knowing the destination. The same applies to your business/startup. Set realistic expectations, create short-term and long-term business goals, and follow up with action plans that incorporate them. For example, if you want to increase brand awareness then spending more effort on your social media marketing strategy will pay off, however, if you want to garner sales traction online, then you should shift your company’s focus to generating website leads through online advertising platforms and outlets. Here are a couple tips and tricks which you should be aware of you go gung-ho on your marketing strategies, or your digital marketing checklist, in a nutshell. Want to build a successfull Social Media Strategy for your startup or business? You can’t go solo and do everything by yourself if your competition is huge. Here’s where your advertising allies come in – your friendly neighborhood digital marketing companies for startups. Sometimes you need to outsource your advertising grimes and a startup digital marketing agency helps you with this by providing a panel of experts who walk the talk and give results. Find out about their prices, growth hacking strategies, check their online credibility and fan-following and you should be good to go. If they’re interested and provide genuine feedback, they’re legit. Plan. Plan. Plan. And don’t run out of money while running those plans. Since you’re on a shoestring budget, invest wisely according to your needs. Prioritize your advertising campaigns based on your current product/business needs. 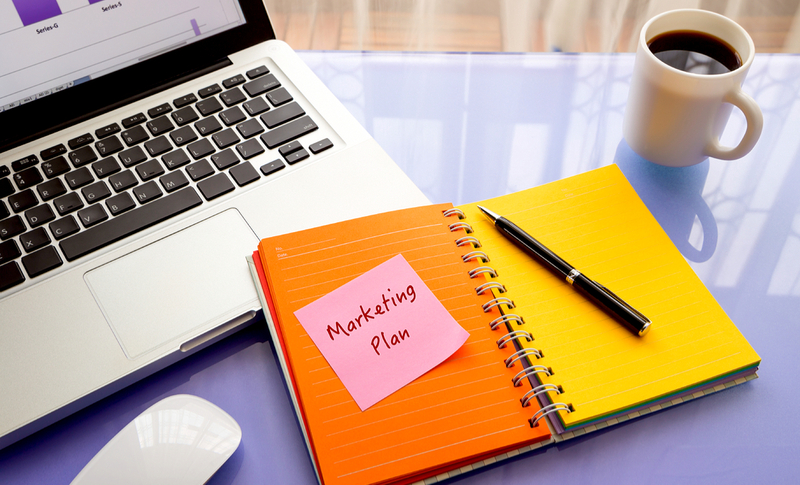 20-25% of your budget towards online marketing strategies is ideal for first years in startups/businesses. Think design and function when it comes to website creation. Do web pages load fast? Is your website optimized for viewing on mobile devices and visually appealing? Be it directly or through referrals, first impressions are your best impressions, and you don’t want to ruin them through cluttered or dysfunctional site designs. Simplicity is the ultimate sophistication. Start simple and iterate based on customer’s needs. Remember to base your designs from a consumer-centric viewpoint. This is the pie in this post, digital marketing strategy for startups. Good strategies get you started, great strategies get you places. From crispy headlines to catchy messages, emails drive sales success up by over 122% if done right. Email marketing provides a personal touch, and nothing fires up product addiction over receiving customized mails from your favorite business. Think from the consumer’s perspective and give them what they want. Use digital marketing tools like Constant Contact and MailChimp for automating emails for your e-commerce platform to stay on top of your marketing game. Inbound marketing leverages several online marketing techniques by using a blend of blogging, social media platforms, SEO, and landing pages. Your focus on inbound marketing is to generate product/service awareness and provide educational content regarding your business/services. Here, you don’t reach out to your customers, instead, become easy to spot online through informative and time-tested content. Create live events and webinars to stand out from the competition along with newsletters and whitepapers to gain online traction. Again, Facebook, Twitter, Pinterest, and Instagram are your best bets regarding this. You have your landing pages up, emails and newsletters rolling in, and your blogs are being updated with hot content regularly, but you’re still not making your expected gains. This is where influencer marketing comes in where you reach out to influential players in your niche and get them to talk about your business or even become brand ambassadors. How you ask? Do a hashtag search on Twitter or other social media platforms to identify key players and get in touch. Your influencer is your mascot and represents your brand. Be sure to keep your brand image in mind before hiring an influencer to market your efforts. Facebook continues to be the most widely used social media platform while LinkedIn and Pinterest come second and third, respectively, regarding advertising prowess. Twitter users constitute of 81% millennials who check in at least once a day according to 2017 demographics by WordStream. Social media platforms allow you to interact with your prospective customers, engage audiences, and spread overall awareness about your businesses and services. Customer interaction and user engagement rank high in terms of converting leads to sales using social media. Use tools like SproutSocial to analyze and generate performance reports to identify trending content, most clicks, audience reach, and learn insights on user engagement. Engineering successful PTC campaigns will convert those clicks to conversions effectively. PTC ads give you a high ROI and provide you with data and insights for drafting effective marketing strategies. The catch is, you pay for only when customers click on your ads which makes this perfect for those with a limited budget. The times are changing and it’s time to switch up your game. Be the player and the provider by participating in community discussions, joining social media circles, and engaging in forums online. People will get to know you and your brand better by you being active in your niche. Drop in notes, suggestions, and nuggets of sage wisdom beyond the boundaries of your website to win hearts and gain new customers. As the term implies, off-site marketing even includes interactions on other social media platforms, websites, and groups as well. Even anything beyond your business (but related to the industry) and out of sight! To end this post on a fruitful note, enter the mindset of the customer when drafting your business plans and online marketing strategies. Start small, invest wisely, and remake your digital marketing strategy for startups accordingly. It’s not a battle, it’s a war, and with great wars come greater strategies – which stands true for your business, of course. Did we miss out something? Drop a note below and comment your thoughts!